Hello Darlings, Thanks to a fun waiter at the Pink Taco restaurant for the tip, while visiting Los Angeles last winter one of my best experiences was hiking the trails of Runyon Canyon. The panorama view is wicked of Hollywood and with downtown Los Angeles in the distance, and of course it was great exercise! 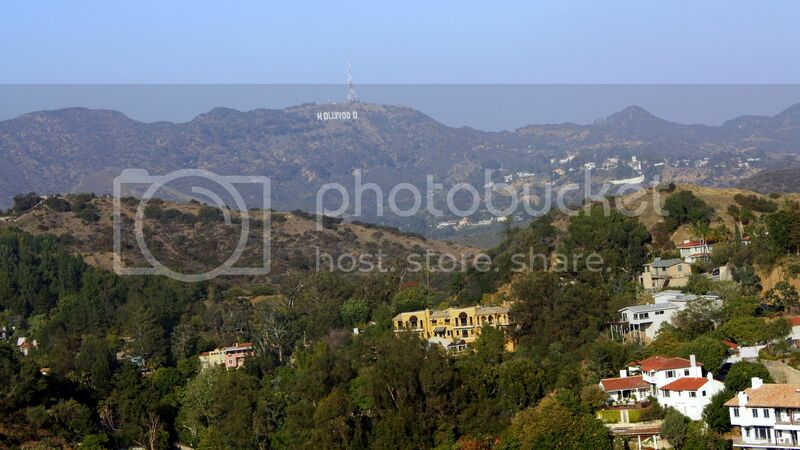 The location of Runyon Canyon is very cool, only about a mile from the most famous part of Hollywood Boulevard. But it seemed to me like a hidden gem tourists hadn't discovered - or maybe tourists in California just don't want to climb mountains! Whatever the case, there weren't many people on the trails that day, and it was a Sunday, so you would think that there would be. 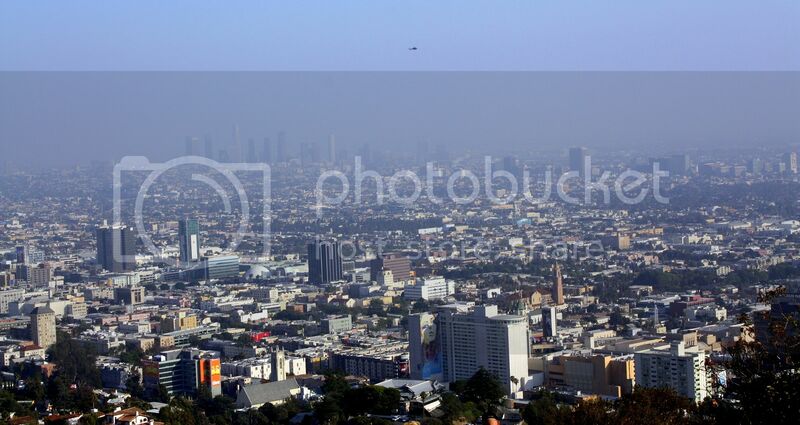 The photo above shows the amazing view looking south over Hollywood and downtown Los Angeles from the summit, and in the photo below is the east view of the famous Hollywood sign. Also very cool is looking from above at the incredible houses set in the Hollywood Hills! Here is a link to read more about Runyon Canyon with details about how to enter the park. There are a few different paths that you can take. I entered the park from below at the Fuller Gate, and then walked up the Star Trail that is mildly difficult, and then took the gradual walk down the Runyon Canyon Road. My hike took about an hour in total. No star sightings though!